This is a one year audio recording program intended to teach you the basics of how to engineer any kind of music, from hip-hop to classical to movie scores. After successful completion of the prerequisites, the program itself is 18 units per semester, a total of 27 hours of lecture and lab with multiple projects each semester. There are many recording, editing and mixing projects to emphasize and improve specific skills in both semesters. 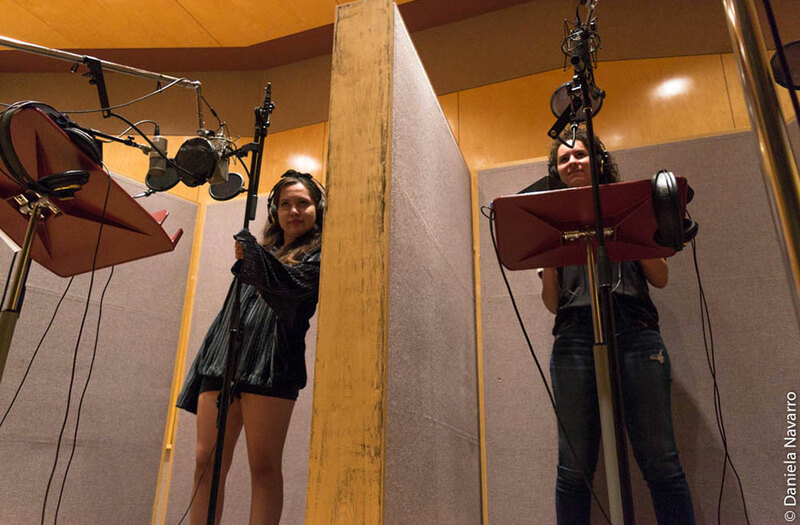 The main projects in the second semester are a record production project which takes a band from the talent search stage all the way through mixing. The other project is an audio for video project where the student gets a 5 minute video clip and has to put in all of the audio, dialog, music and sound effects. We have a thriving alumni community that helps other grads find employment. 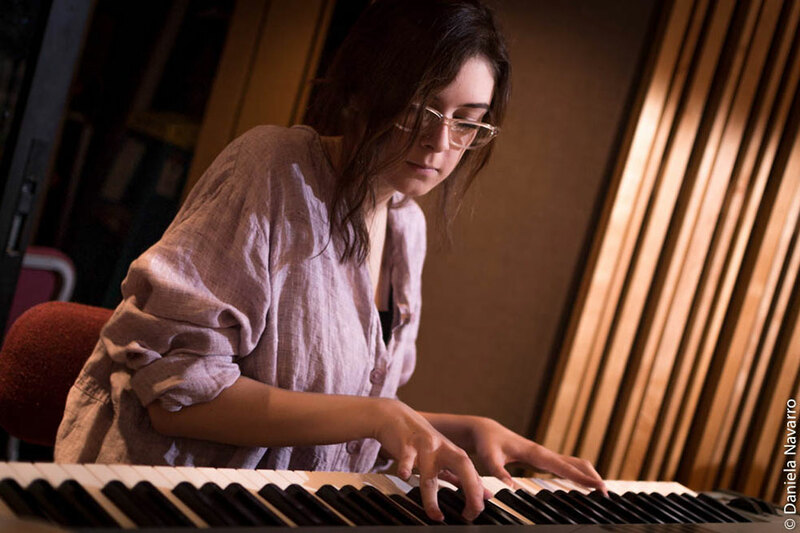 About 40% of our graduates work in major studios in Los Angeles including Cello Studios, Cherokee Studios, Sony Pictures, Enterprise Studios, Studio 56, Westlake Studios, The Village Recorders, Firehouse Studio, The Den Recorders and at NARAS (the Grammy's). Entrance into the Recording Technology program is first-come enrollment in the courses in Wingspan. Students must have successfully completed all three prerequisite courses with a C or better (Rec 100, 103, & 140). If you have taken classes that you think might be a substitute for one of the Program Prerequisites, you must come in for review before applying for the class challenge. COURSE INQUIRYClick to inquire about recording technologies program. A survey of current technology used in the entertainment industry for the production of audio/video products: mixing boards, special effects processors, computer programs and related devices. This course is an introduction to the current technology, terminology and techniques used in audio engineering for recorded music, video and online media. Includes the history of audio, basic audio electronics, microphones, consoles, computer-based production systems and related signal processors. This course is designed to expose the student to the basic principles of computers and networking. Topics covered: basic parts of computer, differences between MAC’s and PC’s, file compression, streaming, zip drives, basic maintenance of computers and basic network theories. *Not required but strongly recommended. Introduction to interpersonal communication: verbal and non-verbal face-to-face interactions; understanding messages sent and received; awareness and resolutions of communication barriers. *Not required but strongly recommended. This course is an introduction to audio technology. Units include sound characteristics signaled flow, basic recording console functions, microphone types and techniques, signal processing, equalization and mixing techniques. 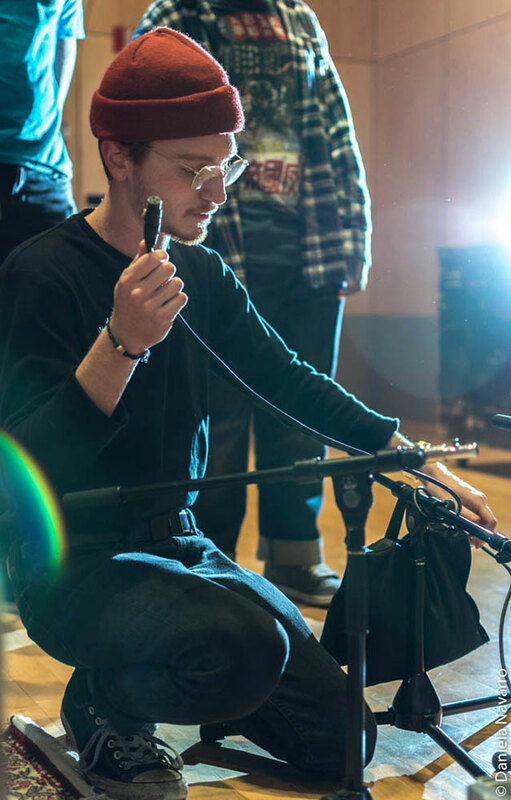 This applied workshop for audio engineers provides the student with an in-depth introduction to audio equipment and techniques. Topics include basic studio procedures, equipment design and proper use and multi-track recording techniques. 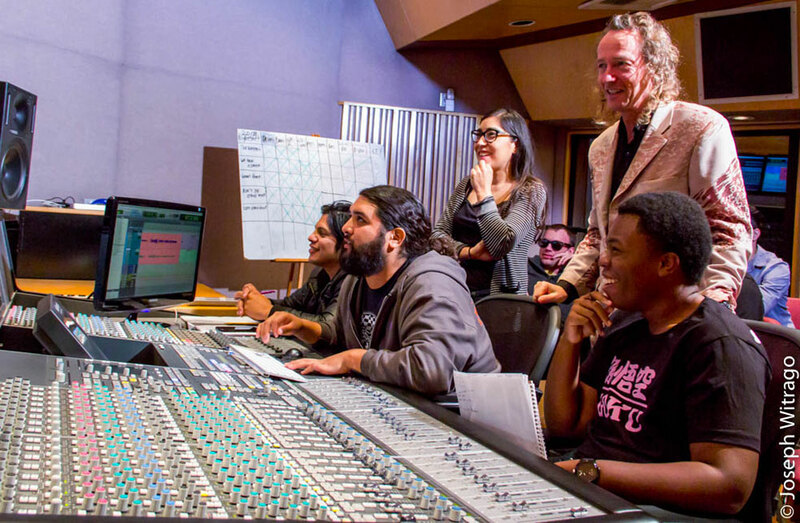 This highly specialized and accelerated course is designed to meet industry demands in the recording arts and should only be considered by those with a strong musical background. The study of implementation of MIDI and digital sampling technology in the audio recording industry. Included is the examination of propriety music software/hardware and its application in current use within the recording industry. This course focuses on the basic elements of sound reinforcement, acoustics, equalization, microphone placement and mixing techniques. The major emphasis is on the acoustics, speaker and microphone placement and the effects on the final sonic product. 3 hours lecture, 4 hours lab arranged per week. A fundamental course in aural skills development for the recording arts majors. Topics include musical styles, acoustic and electronic timbres, general instrument ranges, ensemble instrumentation and color from classical traditions to popular/cultural types. This highly specialized and accelerated course is designed to meet industry demands in the recording arts and should only be considered by those with a strong musical background. This course is an advanced study of new technologies and techniques, both analog and digital. Includes advanced multi-track recording, editing and mixing techniques and surround mixing techniques for audio post-production. This is a project based course. Projects will include audio for picture, surround mixing, CD and DVD-A mastering techniques and studio/equipment maintenance. 3 hours lecture, 4 hours lab arranged per week. This course focuses on the detailed workings of digital audio as a whole and specifically on the ProTools platform. This is a detailed class in all aspects of digital audio inclusive of tracking, mixing, repair techniques and plug-ins. The course will study the physics of acoustics and studio design. Includes information on the reaction of sound to surfaces, materials, objects, time delays and the study of psychoacoustics. This is a survey focusing on the practices and procedures of record companies, publishing companies, performing rights societies and unions. This course will also study the processes of record and film production as well as career opportunities in these fields. Also includes an introduction to further courses of study in a targeted audio field. Citrus College's Assessment testing is required for applicants planning to enroll in five or more units at any point. We recommend the following tests for successful completion of the program. Go to the main Citrus site for more information from the Testing Center. There are 3 prerequisites and 2 suggested classes depending on a student's skill set. The block program has one section of 24 students starting each Fall and Spring Semester. Classes are Monday through Friday and generally scheduled between 9 AM and 5 PM with some lab times being later or on weekends. The prerequisites are available Spring and Fall semesters. The block program begins each Spring and Fall Semester. See the main Citrus College website for specific start dates. The tuition costs for prereqs and both semesters are roughly $2000 for California Residents (43 units at $46/unit, unit cost subject to change). Non-California and International are roughly $9-10,500. Please see the Admissions page on the main Citrus College site for specifics. Books and other fees are additional. There are 11 units of prerequisite classes and 36 units of classes in the one year (two semester) block program. There are other fees listed on the main Citrus College site - Enrollment Fees. You can expect around $400 worth of books for the program. Each student will also be required to purchase a hard drive, headphones, cdr's and a usb memory stick for your use during the program. We will provide the specifications upon acceptance to the block program. 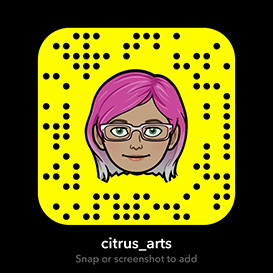 For more information about Citrus College, admissions and financial aid, see the main Citrus College website. International Students should look at the International Student page on the main Citrus College website for more information on enrollment. 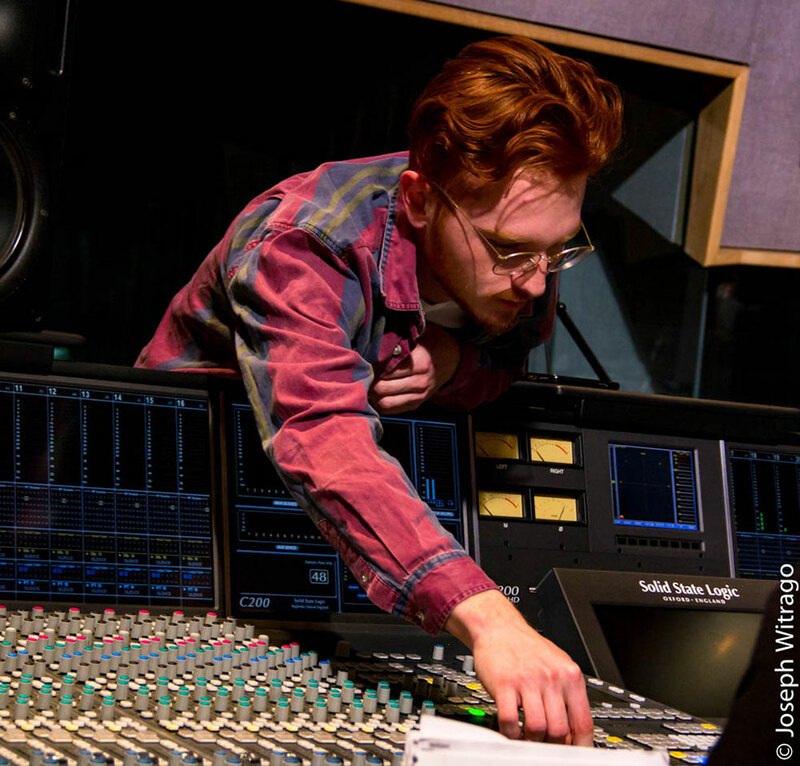 The program takes you from the basics of audio through to working in the two main studios. The first semester is primarily spent working in our ProTools/MIDI Lab and a small studio meant to teach the basics of recording, from mic placement to mixdown in a less demanding environment. The second semester is spent mostly in the two main studios on the Solid Stage Logic Duality and C200 consoles (see Studio page) with projects focusing on album production and audio for video including surround sound. 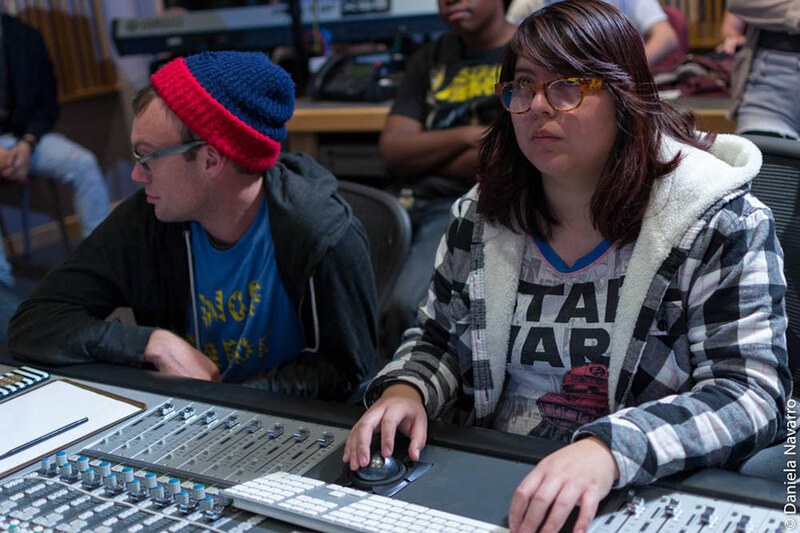 The Digital Audio Technology class is an intense ProTools class with projects designed to teach you the full capabilities of ProTools. There is no housing on campus but there are resources for finding housing for out-of-state or international students. Student use of the studios is for projects only, no personal projects (either main studios or ProTools lab). If a student has a personal project, the studios are available for rental (there are no discounts for students). We have a thriving alumni community that helps other grads find employment. About 40% of our graduates work in Los Angeles at major studios including The Record Plant, Sony Pictures, Firehouse Studio, Ocean Way, Larrabee, Track Record, Capitol, Sage & Sound, Royaltone, The Village, Paramount Recording, Westlake Audio, and post-production houses including Ascent Media, Chace Productions, Encore Hollywood, Keep Me Posted, Oracle Post, Post Logic Studios, Paramount Studios, Warner Brothers Studios, Pop Sound, Wilshire Stage, E-Films and at NARAS (the Grammy's).